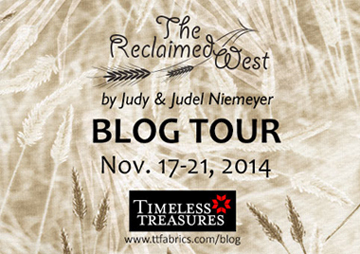 Timeless Treasures hosted a blog tour from November 17th to 21st, 2014 and 17 bloggers participated, including Certified Shops, Certified Instructors, and Independent Designers! There were many wonderful projects completed and instructions/information on how you might make each of them! We have compiled the projects here for easy access if you want to reference back to any of these projects, some of which are free patterns and all of which show off Reclaimed West fabrics in some wonderful ways! Click below to follow the links to these archived blogs! Click on the Pinterest album below to see full size images of the completed projects! Follow Quiltworx Judy Niemeyer’s board Cutloose Press on Pinterest.